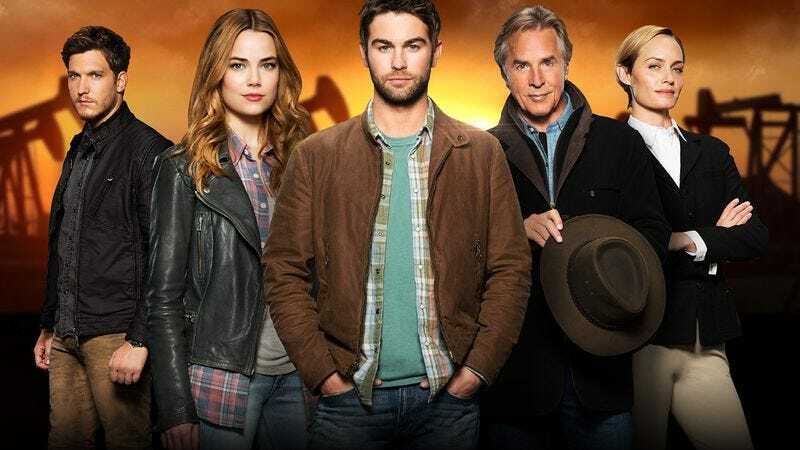 Every November, television networks cull the herd, canceling shows that are failing to catch on to make way for mid-season replacements. This November, however, is different. Shows like Minority Report, The Player, and Blood & Oil, all of which would have been good candidates for cancellation in previous years, have been spared the axe. A new article on TV By The Numbers explains that cord cutting and time shifting may be part of the reason these shows are being given more time to find their legs. Thanks to digital recording and streaming, millions of viewers no longer watch shows when they are first telecast—making network executives reluctant to kill a program that may be quietly building an audience that’s not being counted by traditional ratings. Studio executives are “being really careful how they’re talking about shows that aren’t performing that well in the fall because they don’t want to cut their nose off to spite their face,” said Tom Nunan, a TV and film producer and former executive who now teaches at UCLA School of Theater, Film and Television. Streaming services and cable channels’ willingness to pick up network castoffs is another reason for networks new hesitancy to cancel shows. Instead, according to the article, networks are opting to put shows on hold, thereby retaining the rights. They’re also ordering cable or British-style 13 episode seasons to avoid overcommitting. The losers in all this may be producers, actors and crew. By canceling in November, networks gave show staff the ability to line-up new work for mid-season replacements in January. Now, they might just be left in limbo, making a tough industry even tougher.